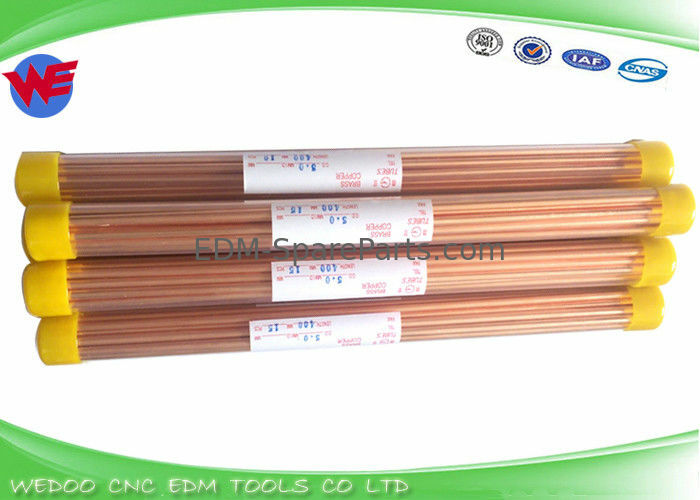 EDM Copper electrode tubes is used for processing Tungsten steel and copper material. Note: Over size of 3.0mm EDM Tube is not common size , no any in stock ,it's customized items only. And take 3-8 days to make . 0.5mm to 1.0mm Duoble hole Brass / Copper Tube is available. 1. 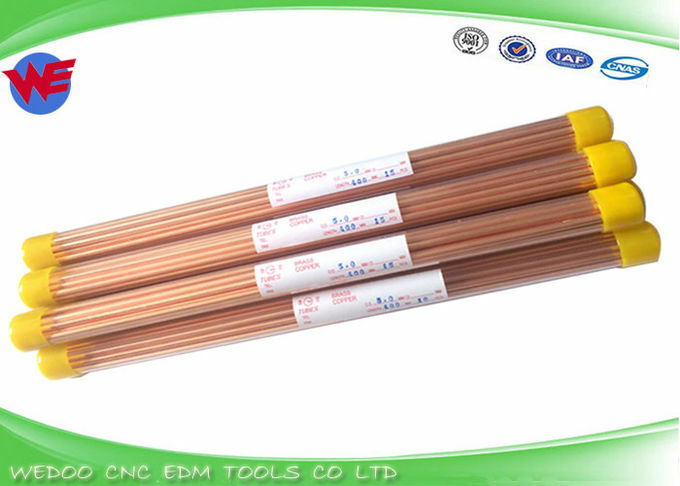 High quality EDM Electrode , help you save time on drilling process. 3. Full ranges of EDM Tubes , single hole ,double hole, multi hole ; Difference length tube to satisfy you demands. 4. Customized EDM Electode tube is available, our factory is able to produce big size tubes for you, such as OD from 3.1mm to 6.0mm . But take a few days to make ! 5. Related EDM Drill Parts is available to supply to you ! EDM Electrode Tube is applicable to high-speed electric-spark small-hole processing machines, especially for deep and small holes, and high-speed electric-spark processing.